A Swag Bag of Potatoes? We went to lunch with a winemaker and all we got was a sack of potatoes… and we were thrilled. Wine starts with farming and so did the family at Mercer Estates Winery. Farming runs in the blood, five generations deep. In fact the Mercers have farmed the same property in Washington since 1886. Beginning with row crops and moving to vines, they were the first to plant wine grapes in Horse Heaven Hills. Today they have over 2000 acres accounting for 18% of the plantings in the AVA. 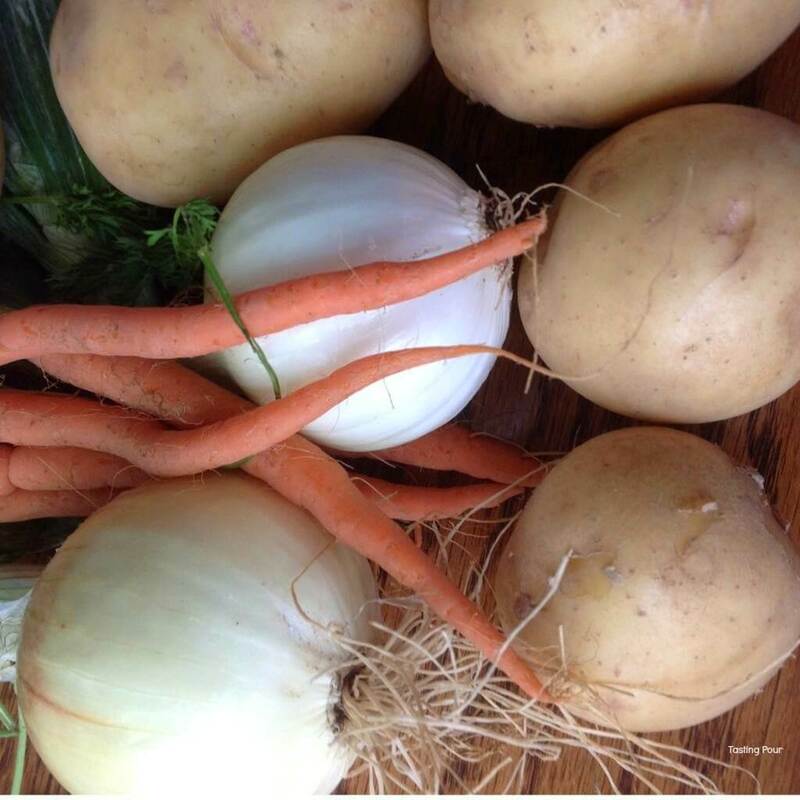 Somewhere along the way they became the first to supply baby carrots to Costco and we have proof at least one person with the surname Mercer is still digging up root vegetables. Jessica describes the fruit as elegant. “In Horse Heaven Hills reds I always get a high note of cherry and dusty feminine tannins.” Jessica enjoys the cohesiveness and mouth feel of blends. She describes a process involving blending experiments tasted over multiple days, at various times, and with as many tasters as she can recruit until she has the best possible result. After tasting the Merlot based Bordeaux blend, Cavalie, we can appreciate her workmanship. All of the wines we tasted were food wines. 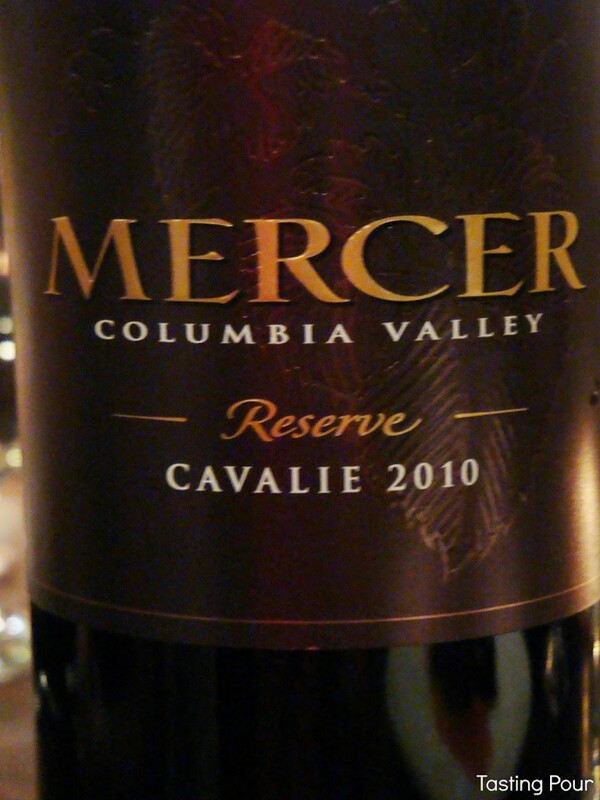 The Mercer Estates 2010 Cabernet Sauvignon displayed the brightness and surprising delicacy Jessica attributes to the Horse Heave Hills fruit. While well structured, it did not overwhelm the entree. The same is true of the Mercer Estates 2013 Viognier. This varietal is known to be highly aromatic and full bodied. Many have adopted the unnecessary habit of adding wood influence. Jessica allows the Viognier to express itself subtly creating a wine that won’t wage war with your meal. Jessica describes the Mercers as a family who are “dedicated to sustainability and future generations and who care about their staff.” Known for their generosity Mercer has created a label devoted entirely to charity, Eagle & Plow. The concept was developed because of two patriotic members of the Mercer team. Rob Mercer, President and Part Owner, served as a Captain in US Marine Corps in the 1990’s. He re-activated to serve in Iraq in 2007-2008. Vineyard Manager, John Derrick, lost his best friend on Flight 93. The Mercer family personally hand planted 911 vines in Block 93. 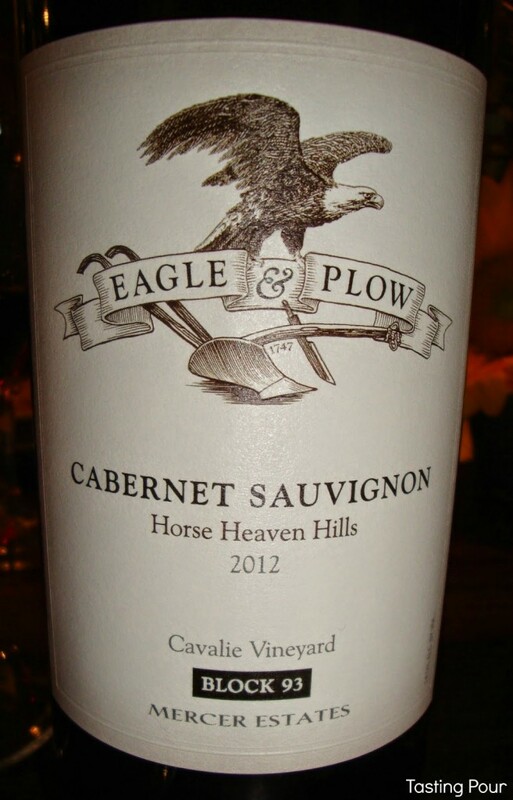 This fall the first Eagle & Plow label will release a 2012 Cabernet Sauvignon. All proceeds will go to charities supporting people who served in and suffered from the events of 9/11. It is nice when good wine comes from good people. 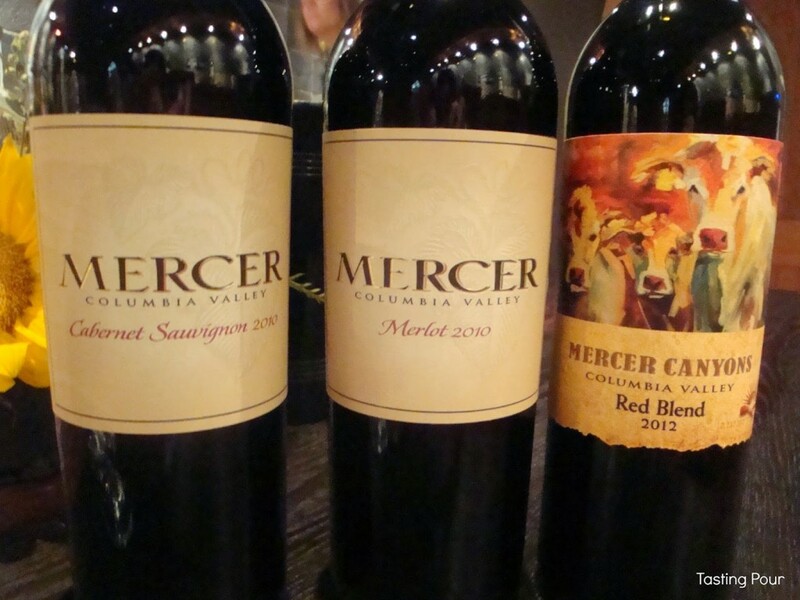 Mercer produces three tiers of wines: Mercer Estates, Mercer Estates Reserve, and Mercer Canyons. Distributed in 38 states, some labels are easy to find in stores and many can be ordered online. 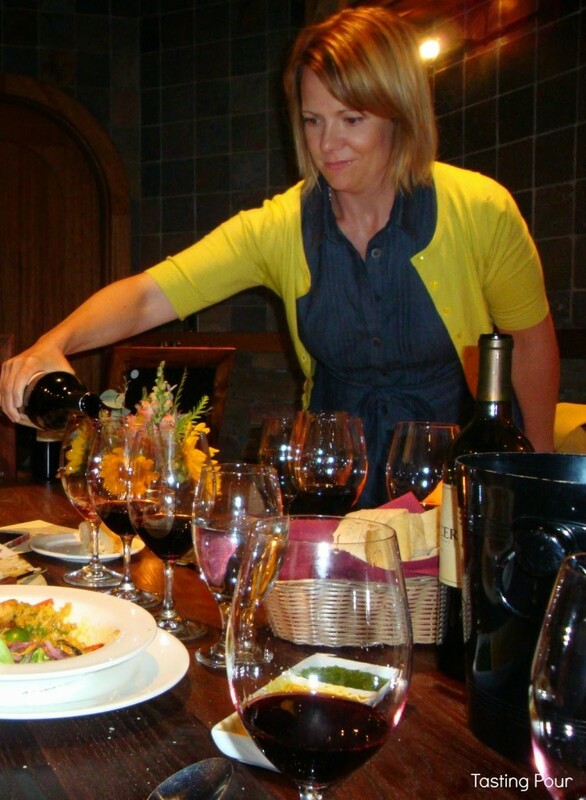 Of course smaller productions like Jessica’s favorite Malbec (100 cases) may require a visit. For more information click here. 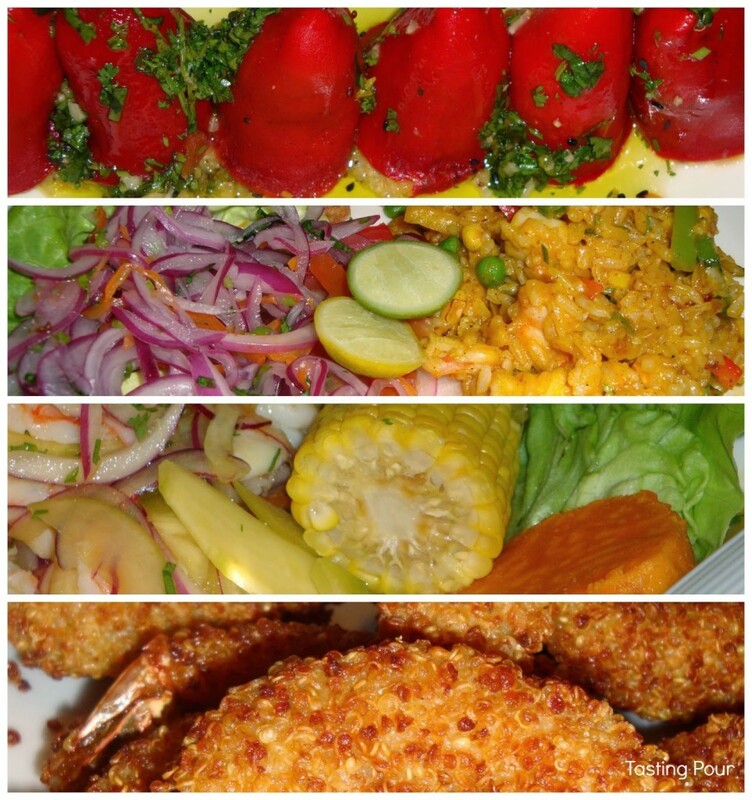 And now because you finished the article, here is the promised #foodporn. Lunch, tasting, and organic veggie swag bag supplied by winery, enjoyed by wine writer.